Organised by the ‘.lk’ domain registry, BestWeb.lk was held for the eighth consecutive year, with its goal to recognise the excellence among Sri Lankan websites within the ‘.lk’ domain. Judging was based on visual appeal, usability and popularity among its users. Over 400 prestigious organisations participated in this competition which was judged over a period of three months. Gaining more popularity and serving an ever growing member base, https://mydoctor.lk emerged Silver award winners in the (SME) Business category at the Bestweb.lk 2018. www.mydoctor.lk was judged upon technical criteria; completeness, navigation, standards and performance, design criteria; site design and page design; content criteria; quantity and quality, and user interaction criteria by an elite panel of judges at the BestWeb.lk contest. MyDoctor.lk is Sri Lanka’s premier digital healthcare solution provider who provides a host of medical services, including 24/7 tele-care service, medicine delivery to door step and discounts and benefits from leading healthcare partners. The experienced panel of doctors at MyDoctor.lk are accustomed to providing tele-care for the clients anytime where ever in the world they may be. Their state of the art ‘health profile’ enables the client to store and maintain medical records online free of charge ensuring convenience, portability and accessibility at any time. Since its inception in 2012 in the medical arena, MyDoctor.lk has evolved to be a fully-fledged digital healthcare service provider which reflects its growth within the eHealth industry. Breaking through the shackles and norms of conventional healthcare service delivery, MyDoctor.lk provides its members a holistic approach to health and wellness. Considering the diminishing digital divide of the communities, MyDoctor.lk has introduced its own mobile apps for the convenience of usage of the same valued services through smart devices. MyDoctor.lk apps can be downloaded from Play Store and App store for both android and ios devices. On the other hand they can be quickly access through their Hotline 0117 247 000. 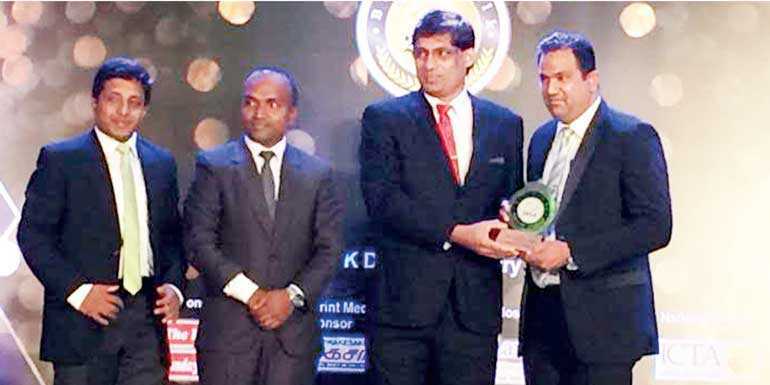 MyDoctor.lk continues to grow and through this win at the Bestweb.lk awards will continue to create a positive image within the digital health market and enables the organisation itself to provide a much needed services to the community. Given the trend that www.mydoctor.lk has set during its recent past it can be expected that it will be a house brand name very soon.